Do you scavenge beaches for precious sea shells to collect? Keep memories of summer fun near you always with four delightful sea shell patterns! Use these shells as mini decorations, turn these into charms / jewelry beads, or add to your key rings. 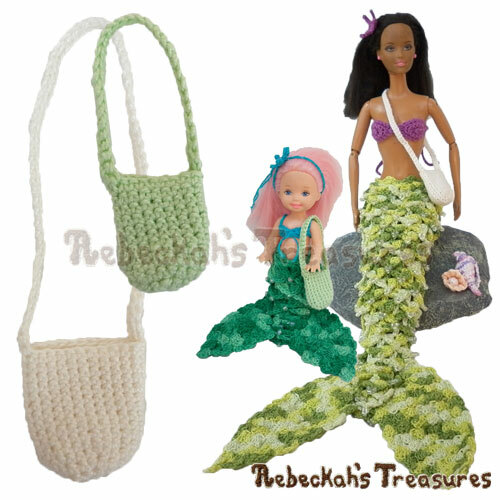 Instructions include how to crochet all 4 sea shells pictured. These are Half Pearl Shell, Clam Pearl Shell, Treasure Pearl Shell and Spiral Conch Shell. The Spiral Conch Shell also includes a photo tutorial. This PDF formatted crochet pattern has 8 pages (1.2MB), including a cover page. It uses US Terms. Spiral Conch Shell – 1.6" (4 cm) tall; 0.6" (1.5 cm) wide. ALL Pearl Shells – 0.75" (2 cm) tall & wide. *The above measurements are from using a 1.05mm Hook and Size 10 Cotton Thread. Spiral Conch Shell – 3" (7.5 cm) tall; 1" (2.5 cm) wide. ALL Pearl Shells – 1.25" (3 cm) tall & wide. 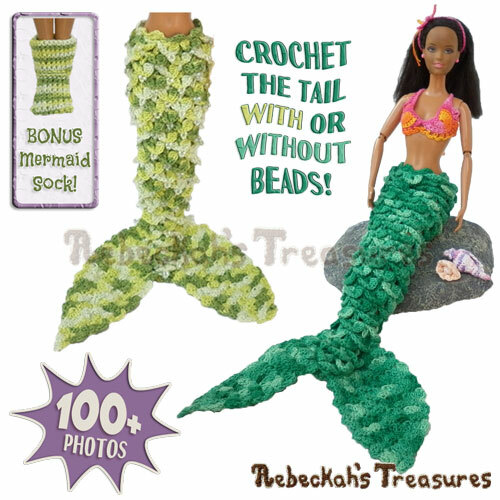 *The above measurements are from using a 3.75mm Hook and Sport Yarn.